COMMENTS: Makes a fun shaped soap. A little harder to unmold that other milky way mold but worth the effort. 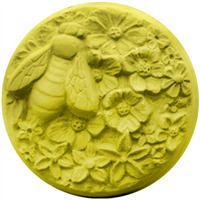 "Bee Skep Soap Mold 60"
COMMENTS: Cute as a bug. Makes 3 full size bars. The bars just pop right out. Washing is just warm water. Everyone loves this mold. 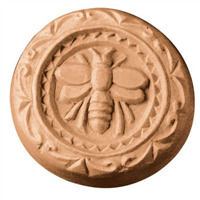 Try it with your honey soaps. Very cute. • Ease of use, cleaning and unmolding. "Finished product has an odd tilt"
COMMENTS: The mold is adorable. I was so excited to use it. It released easily but when I went to stand it up, the soap pitches forward. if you buy this, it will have to lie exactly as it does in the online picture for display. you will not be able to stand it up. 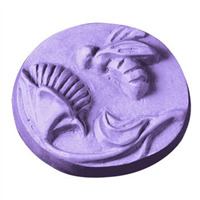 COMMENTS: I used this for both melt and pour as well as cold process soaps. Both came out pretty easily. 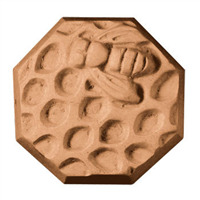 I think this is such a cute mold and great for those soaps that have honey added to them. COMMENTS: This is so cute. I love the quality.